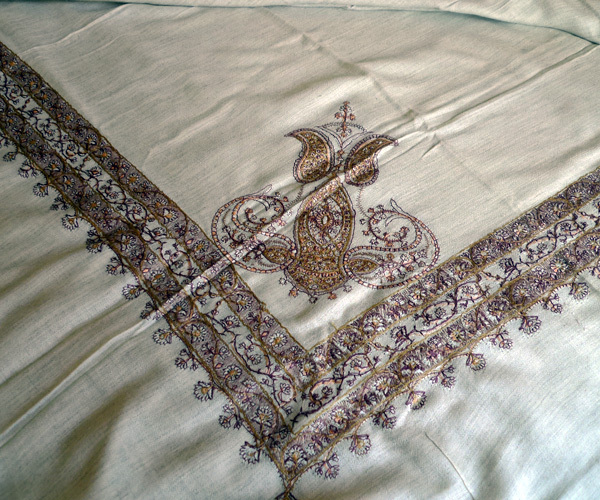 Huge shawls made from the finest wool with hand embroidery in silk are the pride of any Yemeni. At the autumn festival of Eid, he would certainly put on a new lounge suit (the tag on the sleeve indicates a recent purchase and it would never be ripped off), a gold-embroidered belt with a Jambi (Jambia), a curved dagger, while the shawl can be worn on the head or on the shoulder or around the neck. It can be tied in a special way, but you can just put it on the head when it is folded. 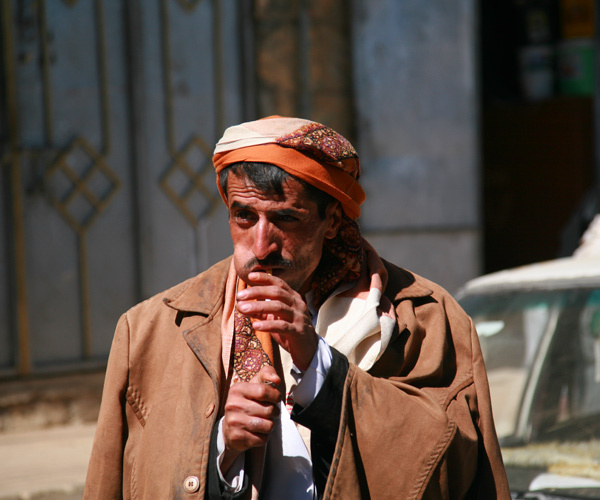 And you can put in it, as if it were a sack, huge packages of khat, a soft drug, the daily joy of dwellers of Sana. 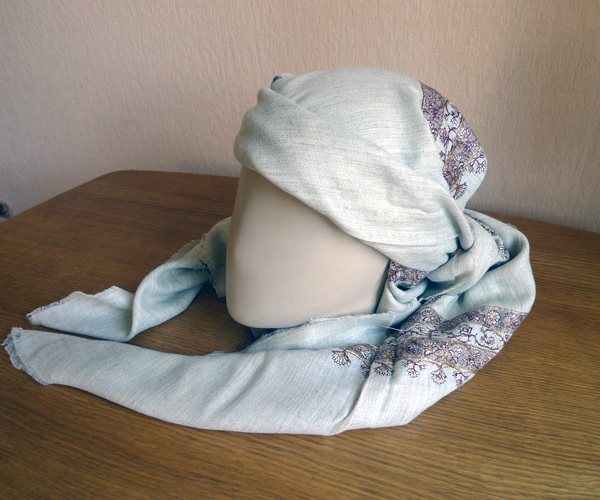 Each region has its own inherent coloring and finishing of the headscarf; in the capital is predominantly fawn and beige.